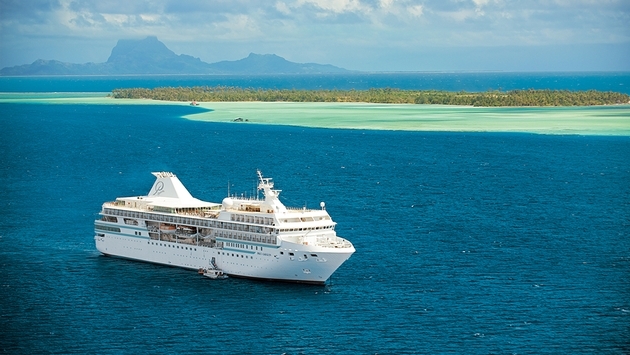 Paul Gauguin Cruises, operator of the highest-rated and longest continually sailing luxury cruise ship in the South Pacific, the m/s Paul Gauguin, and the 88-guest m/v Tere Moana, offers photography seminars by Jon Whittle and Lori Barbely, staff photographers for Islands magazine, on The Gauguin’s seven-night Tahiti & the Society Islands voyage departing Sept. 27, 2014. Unique among travel magazines, Islands magazine focuses exclusively on islands as travel destinations, exploring their exotic landscapes, lifestyle, and culture with a personal touch. Compelling photography is an important component of the magazine’s success, and photo experts Whittle and Barbely will come aboard The Gauguin to share their professional insights and experience. They have traveled the world as staff photographers for the magazine, honing the art of shooting, selecting, and perfecting the ultimate destination photographs. How to take beautiful travel portraits, with discussions to include: using natural light to your advantage, overcoming the discomfort of photographing strangers, and best practices for better portraits. How to capture vacation memories with incredible scenic photographs, from landscapes to cityscapes. Discussions will include time of day, filters, long exposure, different lenses for different styles of photos, and composing for scenic shots. How to get in close and overcome the largest challenges in macro photography, with discussions to include: producing stunning images, lens options, and best practices. How to bring it all together in Photoshop once the photographs have been shot, with discussions to include: how to enhance photos in the computer and create finished pieces of art. For almost 15 years, award-winning photographer Whittle has been traveling the globe with a camera in hand. As Senior Staff Photographer for Islands magazine, he has been on assignment in more than 40 countries, photographing everything from penguins in the Falkland Islands to tribal rituals in Vanuatu. When he’s not shooting a story, Whittle is the lead photographic instructor for the “Islands: Expeditions” workshop series in which participants meet at international destinations to learn the finer points of travel photography. Barbely’s eye for detail is a key reason why Islands is known for its photographic excellence. As Photo Editor for the magazine, she coaches the most accomplished professionals and the most eager amateur shooters alike. Since joining Islands in 2006, Barbely has helped the magazine win numerous awards for visual excellence, doing everything from selecting imagery, shooting, and writing to overseeing a redesign, conceiving photo essays, and spearheading an Annual Reader Photo Contest. Prior to joining Islands, she graduated from the Rochester Institute of Technology with a B.A. in photography and climbed the ranks to Deputy Photo Editor at First for Women magazine. 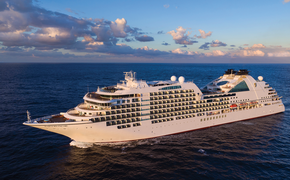 For more information or reservations, contact a professional travel agent, call 1-800-848-6172, or visit www.pgcruises.com.